Cloud computing, which involves the storage, transmission and processing of data, is an integral part of any “connected” attorney’s practice and carries with it certain obligations, such as protection of confidential client information that is transmitted electronically. Attorneys need to understand the technology they are using, the best ways to protect client information while using this technology, the safest products to use, and how to prevent and prepare for data breaches. Attorneys also should be aware of the ethical obligations associated with the use of this technology. This program, featuring experienced experts in technology, will provide participants with insight into all the aforementioned topics. Any attorney interested in learning more about cloud computing, its application to and intersection with the practice of law, and pertinent ethical issues. 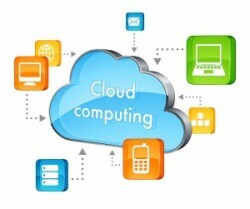 How do attorneys and firms use Cloud Computing resources? Discussion of Cloud Computing best practices including back up, recovery, and disaster planning. Discussion of ethical obligations associated with cloud computing and common ethical pitfalls. ** CLE materials for this seminar will be e-mailed to registrants prior to the seminar for download. Please note that refunds will not be granted once course materials have been received. Refunds require a minimum of two business days notice. The Connecticut Bar Association/CT Bar Institute is an accredited provider of New York State CLE. Financial hardship information available upon request.